Recently Mozilla launched the Beta of the upcoming Firefox 4 within a few weeks we saw the second build release for the same. Now with the next new version they are planning to add a new feature for updates in Firefox. 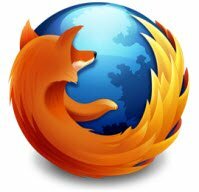 Like Adobe or Chrome browser, Mozilla is planning to bring in the Silent Update feature in the fourth version of the browser, and this feature will be exclusive for the Windows version of Firefox only. For Firefox 4 minor updates will occur automatically. Users can change the setting in Options > Advanced > Update. We’ll only be using the major update dialog box for changes like 4 to 4.5 or 5. Unfortunately users will still see the updating progress bar on load, but this is an implementation issue as opposed to a UI one (ideally the update could be applied in the background). We will also be able to prompt the user if they haven’t restarted in a very long time and there is a particularly bad security vulnerability that need to be patched, says Alex Faaborg, a Mozilla engineer. I’m working on silent updates though it might not make Firefox 4. As for ‘forced’ update (like Chrome update and many other update systems prior to Chrome) Chrome accomplishes this in part by forcing the install of Chrome into the user’s profile which has a set of issues associated with it that we don’t want to have so we aren’t taking that route, said Robert Strong of the Mozilla Foundation. Most updates, including all security updates, will be downloaded and installed automatically without asking the user or requiring a confirmation. Mozilla feels that the majority of users would prefer an application that doesn’t bother them with what they view as little details, where a little detail is a minor update, and hence the rationale for going in for silent updates. But for those who don’t want auto updates they can choose as per their requirements,which is a good thing because there are people those would like this new feature and also those who think otherwise.